WELCOME TO 26 LAWRENCE HILL WAY. Unique and special, this one-of-a-kind home can be your perfect getaway, every day. 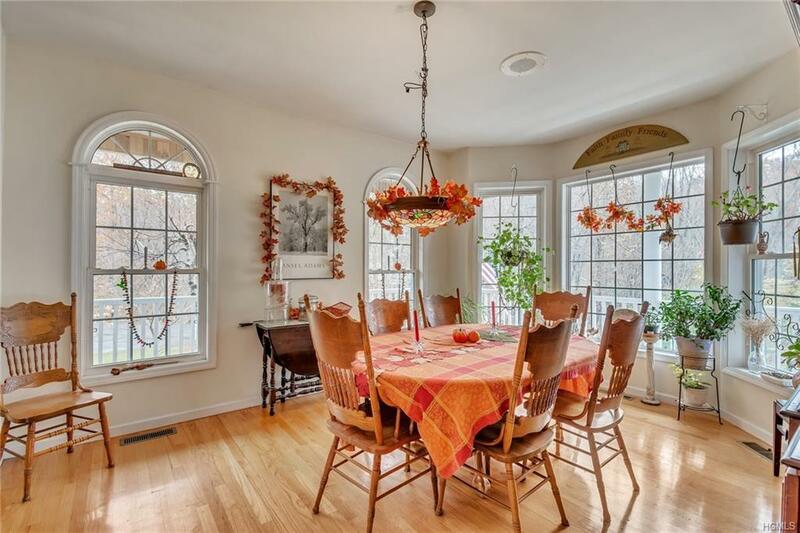 Nestled an a long and PRIVATE driveway, unseen by cars or neighbors, is this wonderful Open Floor Plan Colonial. 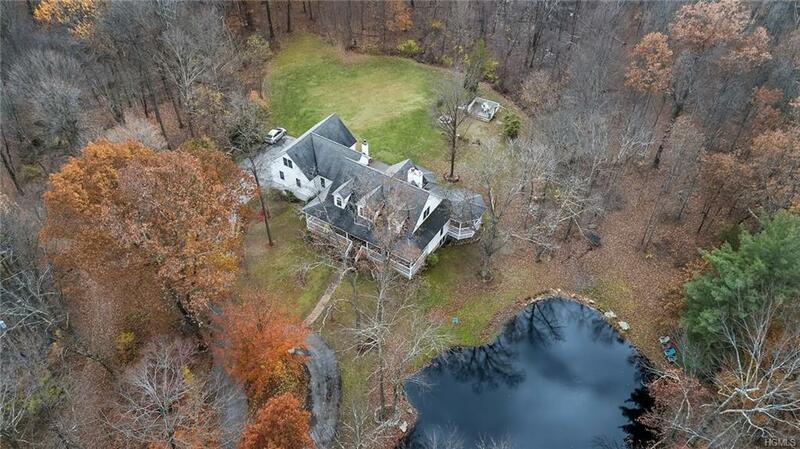 PRIVATE on 7+ acres of meadows, pond, beautiful rock formation, hiking trails, flowering bushes, mature trees and wildlife. Sliding doors to landscapes of woods, pond and fields. With approx 4760+/- sq. 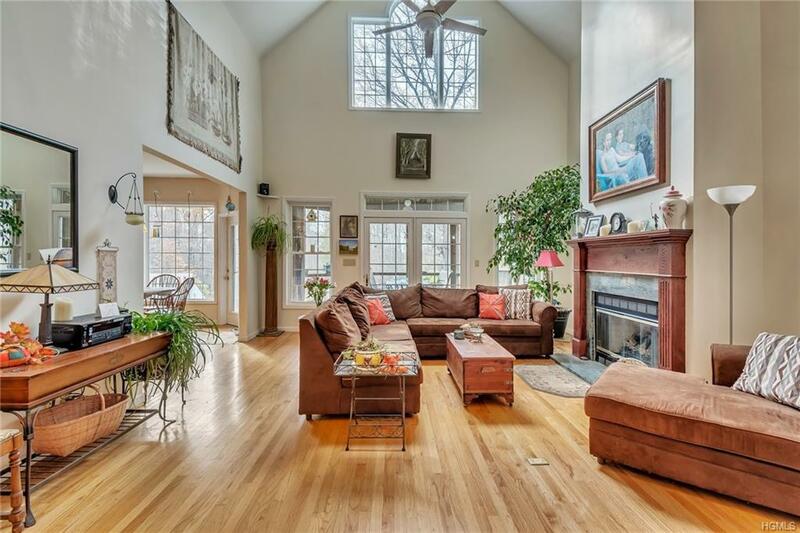 ft. of living space w hardwood floors- 3 bedrooms, 3 full + baths, beautiful counters- lots of kitchen cabinets, cathedral ceilings, master suite w closets, 2 fireplaces, family room, meditation room, guest room, full finished basement, laundry room and 3 garages. 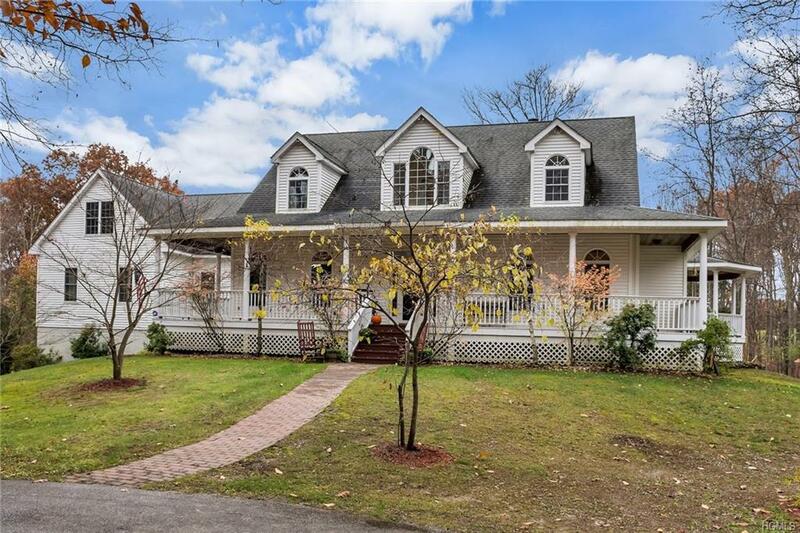 This gorgeous colonial HOME w rocking chair porch, screened/covered deck overlooking the luscious mature trees in the back and open to a breath-stopping view of the grounds. Just 3 miles from the OMEGA INSTITUTE and minutes to the Taconic makes this property a great commuter location. Listing courtesy of Bruna Rondinelli of Century 21 Alliance Rlty Group.